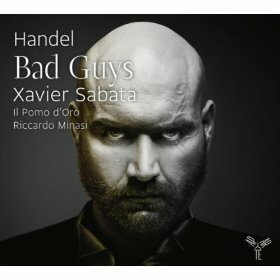 Xavier Sabata sticks exclusively with Handel but his exploration of ‘Bad Guys’ steers towards arias seldom heard out of context. Of the dozen arias chosen to represent dastardly cowards, misguided schemers or implacable tyrants, only Dardano’s ‘Pena tiranna’ (Amadigi) has been included on several high-profile recital albums: its doleful oboe and bassoon lines are played tenderly but Sabata’s meandering embellishments in the da capo hinder sincere dramatic truthfulness, and I wish the strings of II Pomo d’Oro had chosen an understated simplicity that would have more profoundly illustrated Dardano’s hopelessness. Elsewhere, Sabata offers the sweetest singing he has yet produced on disc, while at the other end of the spectrum he aptly characterises Tolomeo’s petulant bullying of Cleopatra (‘Domerò la tua fierezza’). 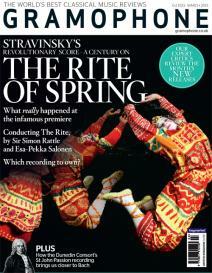 The concept necessarily excludes the shades of pastoral delicacy, amorous charm or heroic valour that the finest Handel recitals usually throw into the stew.